Seven Wonders of the World, originally uploaded by Bednarski Media. The Kukulkan pyramid at the Mayan ruins on Mexico's Yucatan Peninsula. 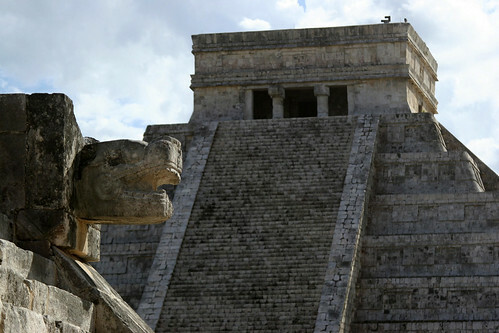 Chichen Itza, Mexico, is the fifth out of the new Seven Wonders of he World.